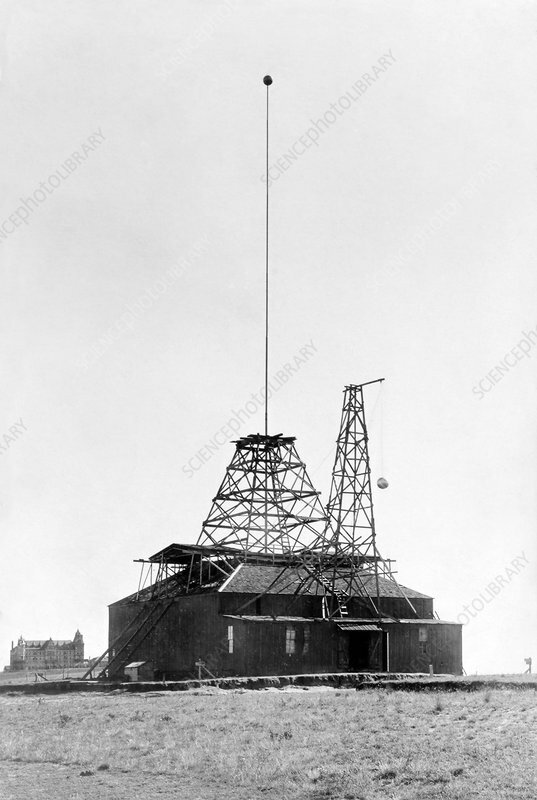 Tesla's Colorado Springs laboratory, from the Pike's Peak side, with its 60-metre-tall antenna. Serb-US physicist and electrical engineer Nikola Tesla (1856-1943) conducted experiments here from 1899 to 1900. This laboratory (demolished in 1904) was located in Colorado Springs, Colorado, USA. Tesla's experiments involved high-voltage, high-frequency electrical power transmission. He also investigated lightning and wireless telegraphy. Tesla invented the Tesla Coil, a transformer in which the primary and secondary coils are in resonance. He used it to create electric sparks 40 metres long, and in 1899 lit 200 electric lamps without using wires.